Always being on the lookout for Japanese food that I have never seen before, I came across a picture of the Hitsumabushi from ShuRaku Sake Bar and Bistro and decided that I had to try it. ShuRaku is an authentic Japanese restaurant and is the sister restaurant of Zest with a less formal and more izakaya-like feel. I had been to ShuRaku once before the start of my blog and was quite pleased with the quality, so I decided to return once again to do some "research" for my blog. The restaurant has a sleek and appealing ambience inside. The menu isn't that large, but there are enough items to choose from. As I arrived before lunch ended, I had the opportunity to try out the ShuRaku Gozen, which was one of those Japanese lunch sets with a gazillion items. While I was waiting for my food, I was presented with a complimentary Miso Soup, which contained seaweed and tofu. I will call it complimentary because even though I was supposed to get one for the lunch set, I got another Miso Soup when the lunch set arrived. 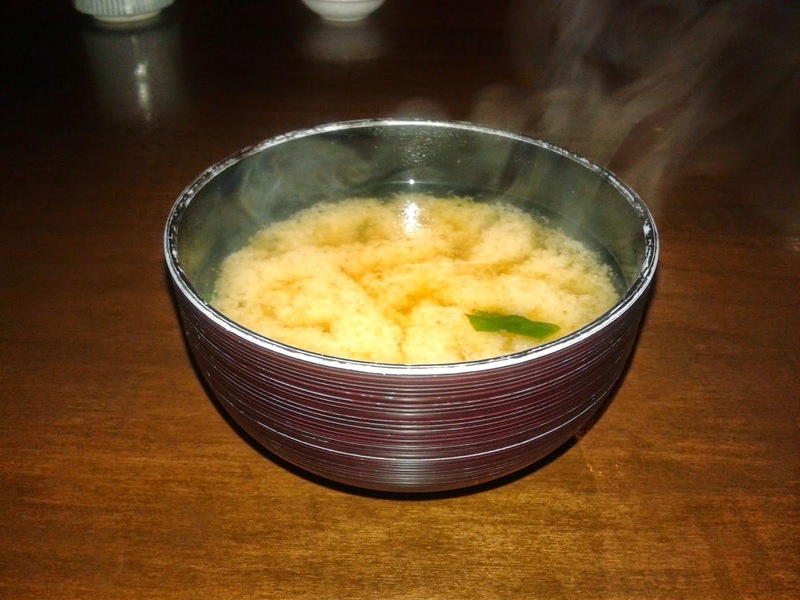 The Miso Soup was decent with a well-balanced taste. 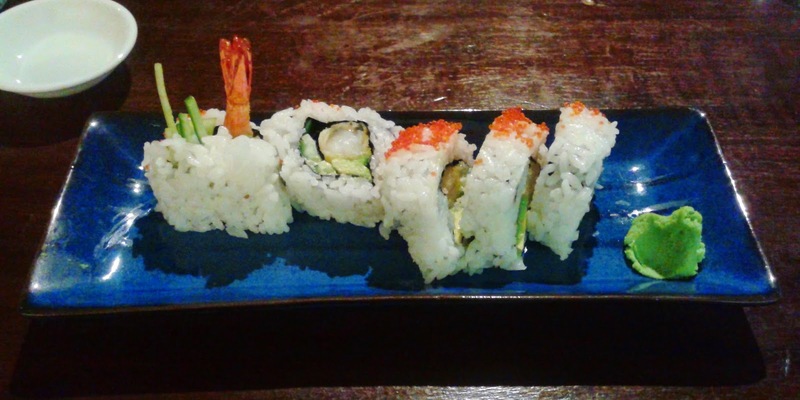 The Dynamite Roll, which I ordered on the side, consisted of tempura prawn, tobiko, mayonnaise, avocado, and cucumber. It had a creamy taste from the avocado and the prawn had a nice snap to it. The rice could complement the roll better. 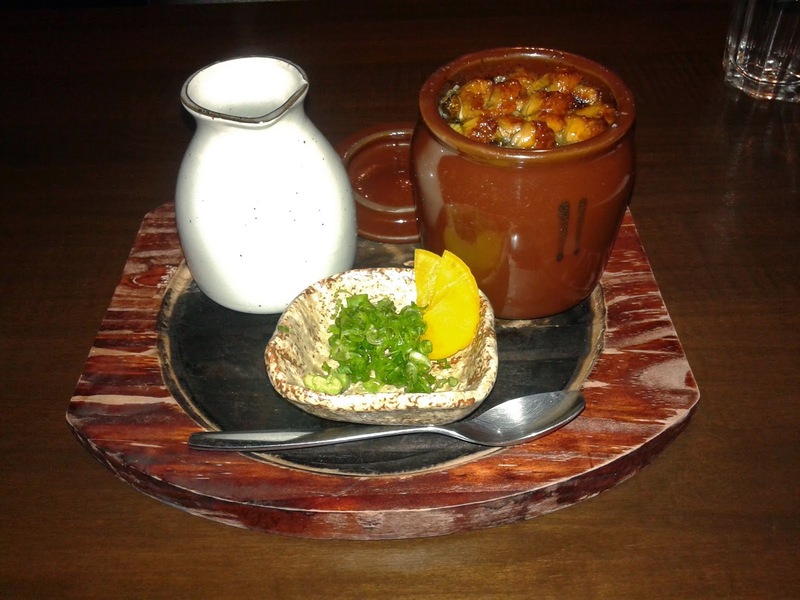 The Hitsumabushi is a traditional Japanese dish from Nagoya and consists of a bowl of seasoned rice topped with unagi. The white container on the left holds dashi broth, which is meant to be poured into the bowl of rice after you've consumed half of the rice (and presumably all of the unagi). The eel had a nice savoury flavour to it, but it was a bit fatty. There was adequate seasoning for the rice and the takuwan (pickled daikon) was well-executed. This was originally supposed to be on the dinner menu, but they allowed me to order it anyway. 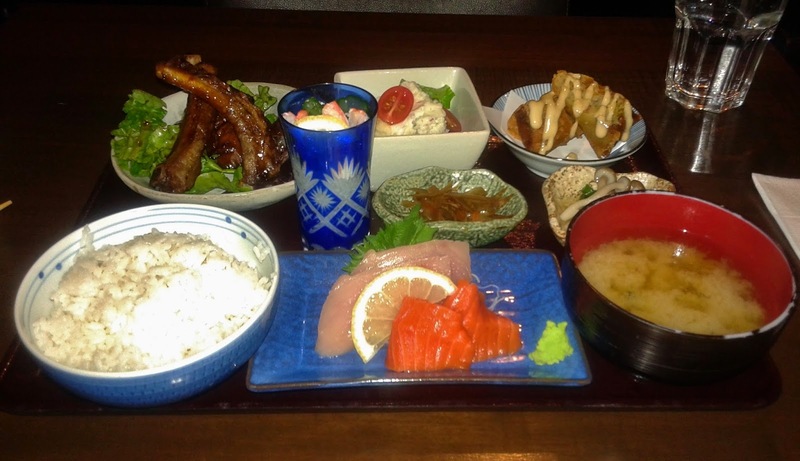 Here is the entire ShuRaku Gozen lunch set minus the ice cream for dessert. Yep, I get another miso soup. I found the BBQ Back Rib to be slightly overdone, making it tough around the edges. 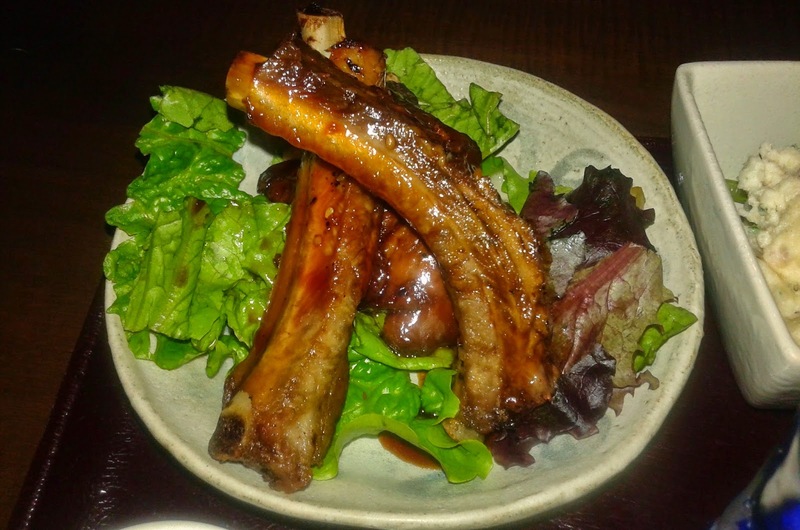 The sauce was quite rich and sweet, and although it went okay with the ribs, it was too strong for the lettuce. The Tuna Sashimi was fresh and melted in my mouth nicely. 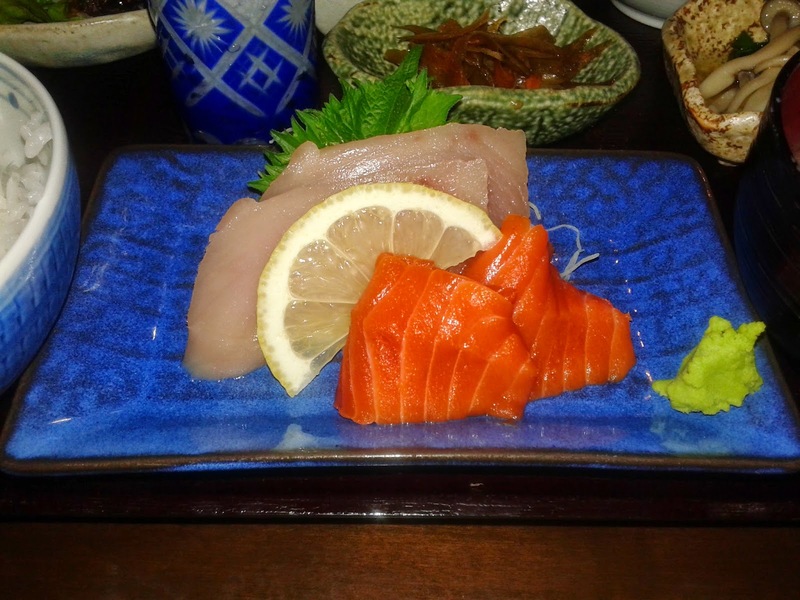 The Sockeye Salmon Sashimi had the perfect smooth texture and a special, delicate sweetness to it. This was definitely the highlight of the lunch set. 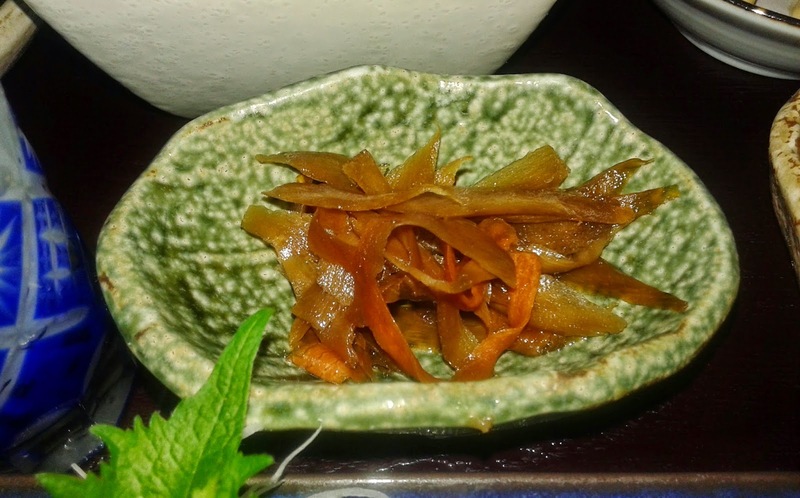 The Burdock Kinpira was marinated so that it packed a lot of flavour. It was predominantly savoury with a slight spiciness to it. It was also cut thin so that it would be easy to chew. This was a small and light dish with a mild taste. 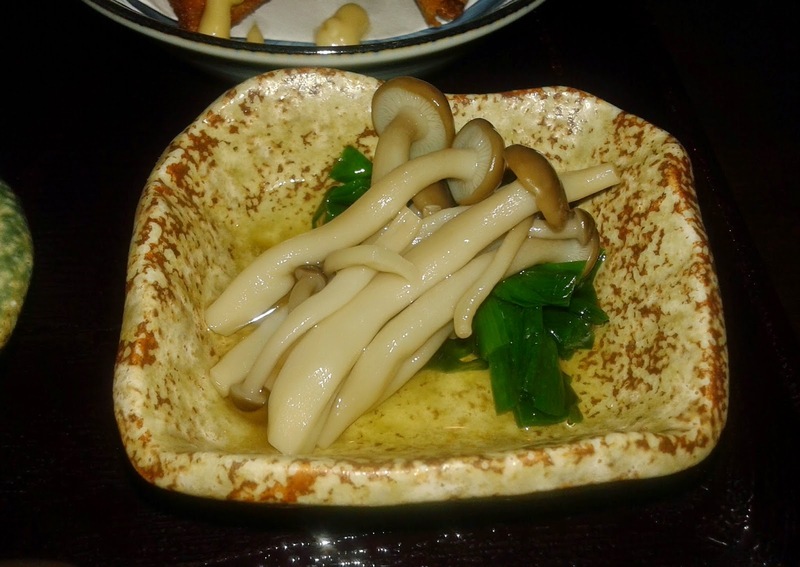 The Shimeji Mushroom and the Asian Chive Ohitashi complemented each other well. 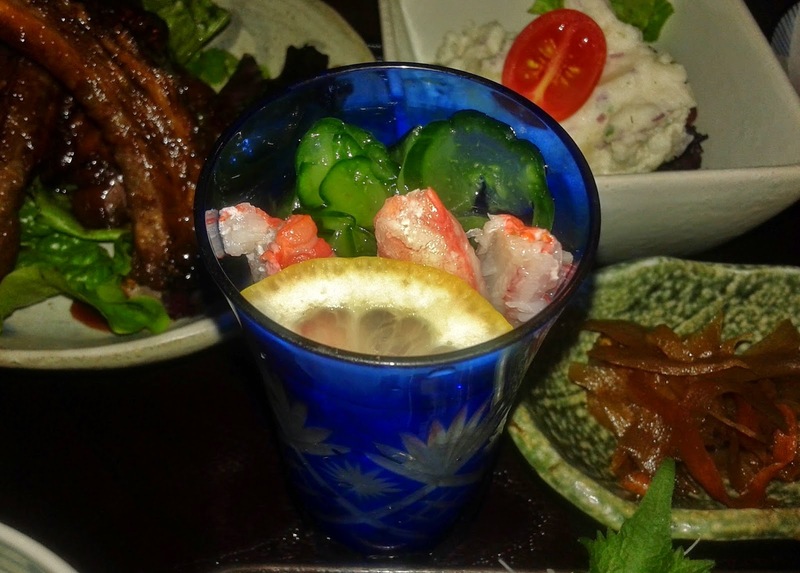 The Snow Crab Sunomono came in a tall, narrow cup and had a mild flavour due to the conservative use of vinegar. Although I would prefer more of a kick from a sunomono, I suppose they held back on the vinegar so that we can taste the snow crab better. The snow crab had a smooth, subtle texture compared to regular crab meat. 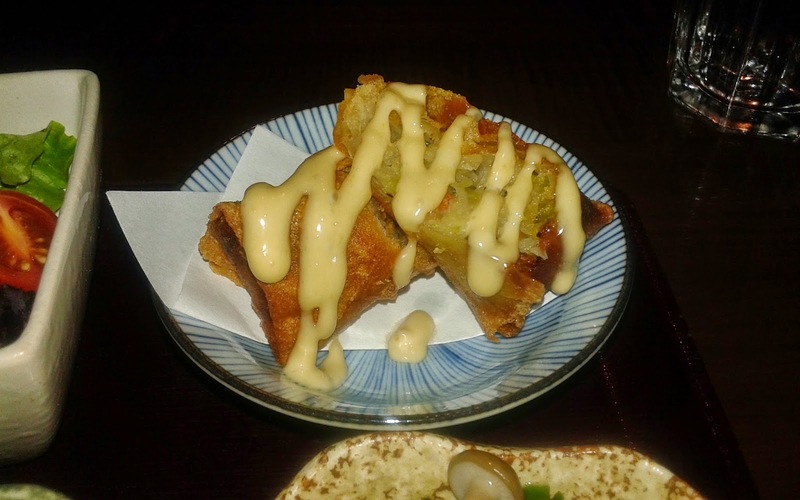 The Vegetable Spring Roll was dressed with garlic mayonnaise and had a large diameter (please excuse the math term). The exterior was quite crunchy and the interior flavours were enhanced by the sauce. I also enjoyed the soft cabbage filling inside. 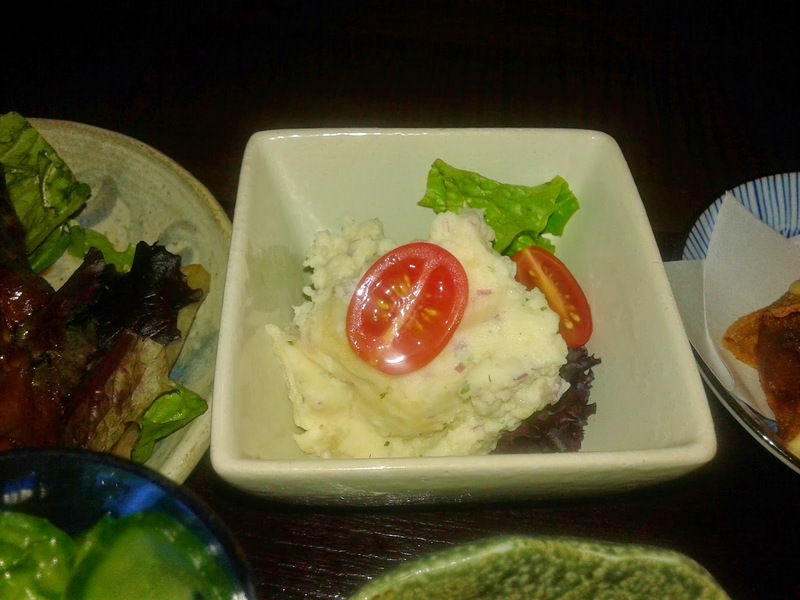 The Potato Salad was served cool and had some onion and scallion to give it a zing. The portion was quite large, and it was decent for what it was. 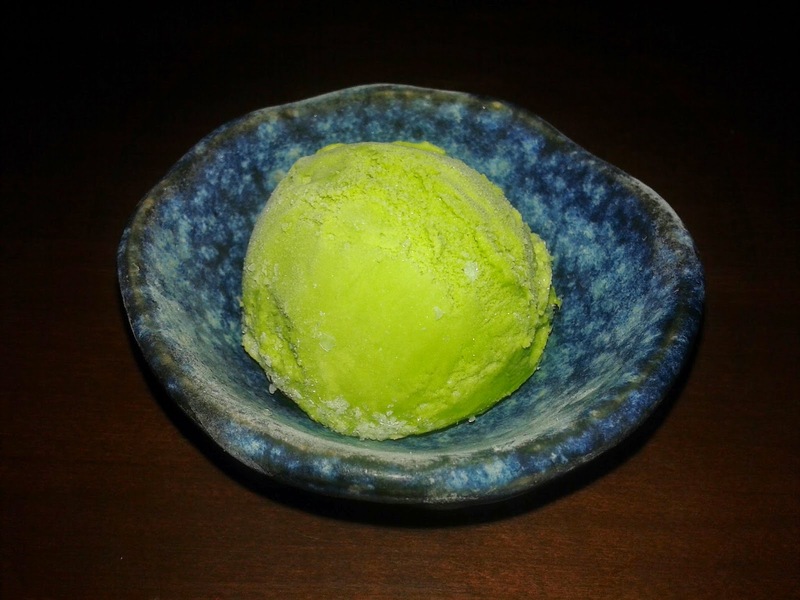 The dessert that came with the ShuRaku Gozen lunch set was the Green Tea Ice Cream. Unfortunately, it need some further thawing as it was quite frozen. The service met my expectations and was quite friendly overall. Most of the food was executed and presented well, and it was on par with my first impression of ShuRaku. Although the prices tend to be quite high, the portion sizes did not disappoint. 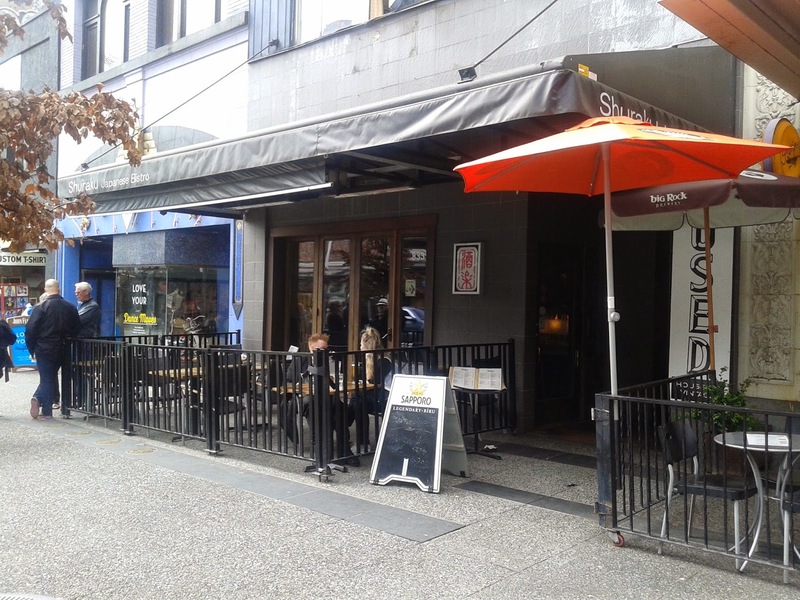 ShuRaku is one of my preferred places to go to in Downtown Vancouver and I wouldn't mind returning again in the future to try their dinner menu.